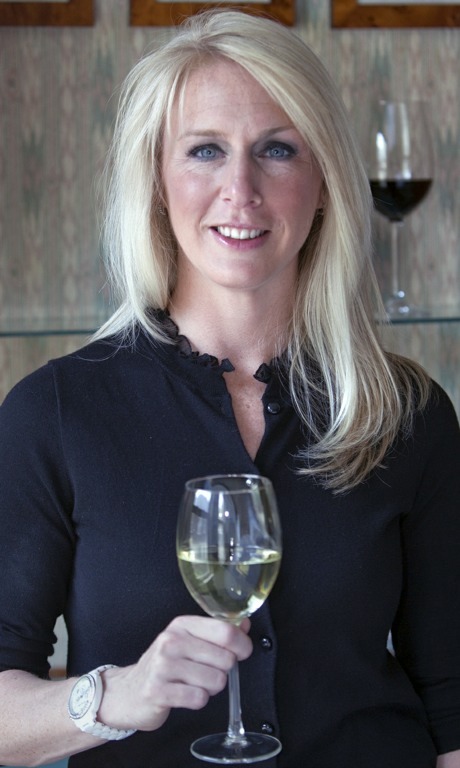 Wommelier Erica Archer of Wine Wise Events of Portland, Maine will lead Wine Weekend Getaways at The Attwater in Newport, RI and Whitehall in Camden, ME. NEWPORT, RI –Lark Hotels, a collection of distinctive properties, is launching a series of Wine Getaway Weekends in partnership with sommelier Erica Archer of Wine Wise Events of Portland, Maine. The first Wine Getaway Weekend will be held at The Attwater in Newport, RI on March 20-22, 2015. The weekend will focus on French wines and will include a tasting and spirited discussion of of dozens of wines presented in a series of regionally-focused classes. With each sip, participants will explore how grape varieties, climate, soils, viticulture, and vinification techniques influence different region’s wine quality and style. A selection of curated small plates will be paired with the wines, making for an experience that is equal parts educational and luxurious. This all-inclusive weekend includes a two-night stay at the Condé Nast Traveler award-winning Attwater and all hotel taxes, daily breakfast, Bordeaux wine class, dinner at French-inspired Stoneacre Pantry, Burgundy wine lunch at the Attwater, and all meal taxes and gratuity. The weekend prices are from $770-$834 for one person and $1,241-$1,692 for two people depending on room type. From June 12-14, Archer will host a sailing, wining, and dining adventure at one of Lark Hotel’s newest properties, Whitehall, in Camden, Maine. Guests will be immersed in the world of fine wines while exploring this quintessential harbor town. Highlights include a wine sail on Schooner Surprise with refreshing summer whites, and an exclusive wine pairing dinner at the hotel’s new restaurant, Pig + Poet, with founding executive chef Sam Talbot (of Top Chef fame). The weekend will include a two-night stay at Whitehall and all hotel taxes, daily breakfast, a wine sail, wine pairing dinner at Pig + Poet, a wine and food walk around Camden, optional excursion to Cellardoor Winery, and all meal taxes and gratuities. Packages for the weekend range from $790 to $985 for one person and $1,237 to $1,626 for two people depending on type of room. Archer is a true oenophile, having obtained high levels of certification in her field. In 2010, she was awarded the Wine Spirit and Education Trust Level Three Advanced Certification in Wines and Spirits (with merit), became a Sommelier in the American Court of Master Sommeliers, and received her Certified Wine Professional award from the Culinary Institute of America in St. Helena, California. Erica will take guests beyond a typical tasting with her intimate understanding of what makes each wine unique. And she’ll do it with her trademark sense of humor. Lark Hotels is a collection of boutique hotels located in sought-after spots. Lark Hotels include Whitehall, Camden, ME; Captain Fairfield Inn, Kennebunkport, ME; 76 Main, Nantucket, MA; 21 Broad, Nantucket, MA; The Attwater, Newport, RI; Gilded, Newport, RI; Pomegranate Inn, Portland, ME; Ale House Inn, Portsmouth, NH; and The Break, Narragansett, RI. Lark Hotels embrace the locations they are in, but in playful, unexpected ways. Think “sense of place” with imagination and a touch of mischief. Each Lark Hotel invites guests to experience modern luxury in the heart of an iconic destination, to feel the pull of a nostalgic getaway while surrounded by today’s amenities and to find attentive service when they want it and privacy when they don’t. For information on Lark Hotels, the “On a Lark Club,” and the hotel collection visit www.larkhotels.com.